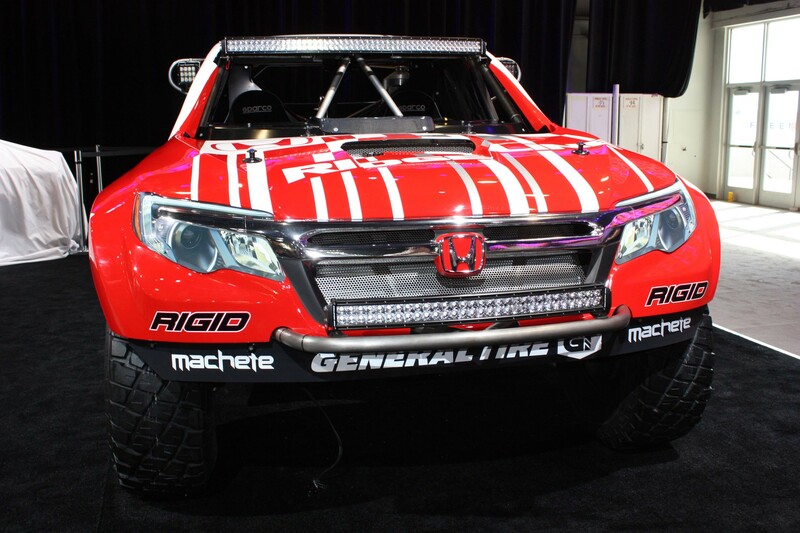 Preview Of The Honda Baja 2017 Ridgeline from 2015 SEMA! 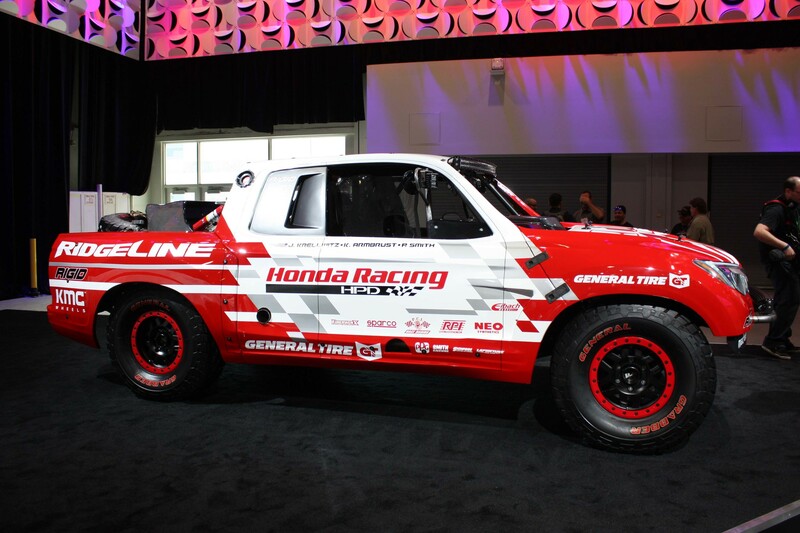 Honda has taken things to a different level this year as it gave us a closer look to the new, MEAN looking Ridgeline Honda BAJA truck at the 2015 SEMA! 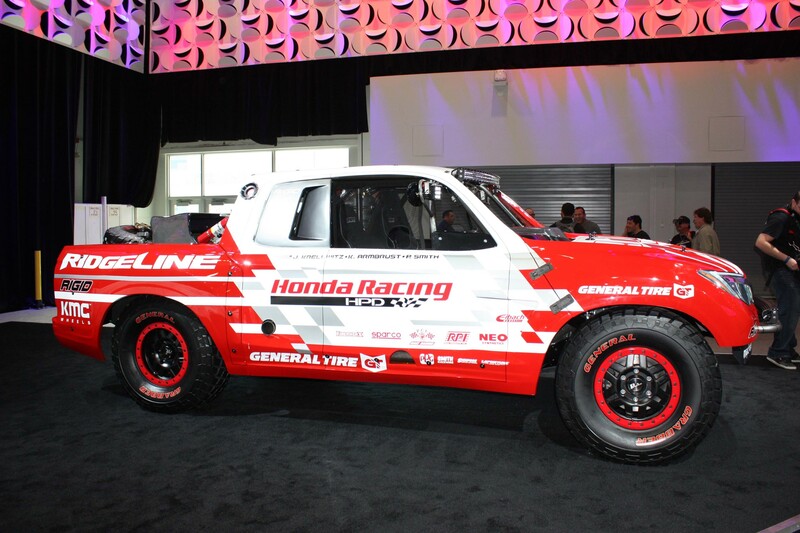 They have changed a lot on the styling as this truck looks a lot AGGRESSIVE with the tube-framed look! 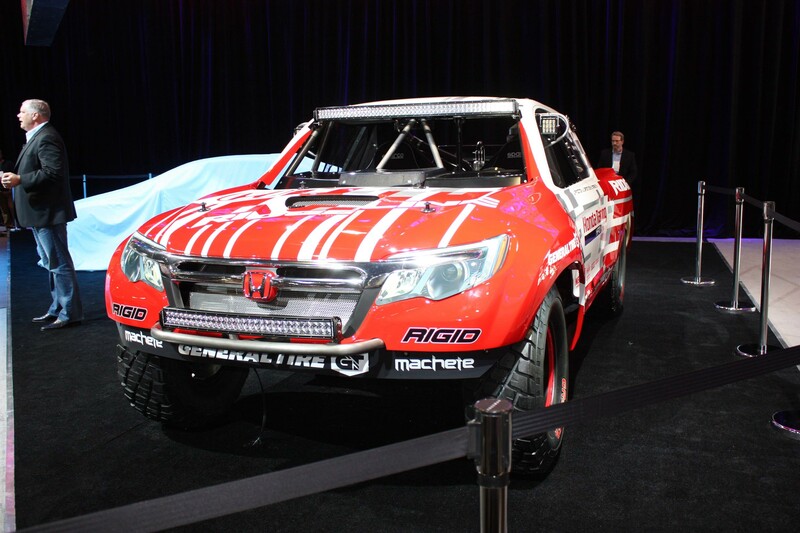 Of course, Honda did not lean on the looks all the way. They made sure that the motor underneath the hood is worth mentioning! 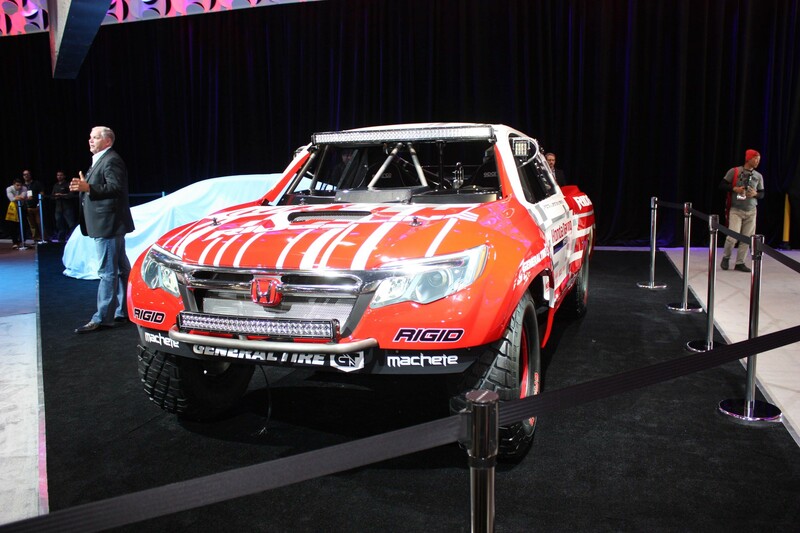 Twin turbo, 3.5 L engine and 550 HP are here to witness! 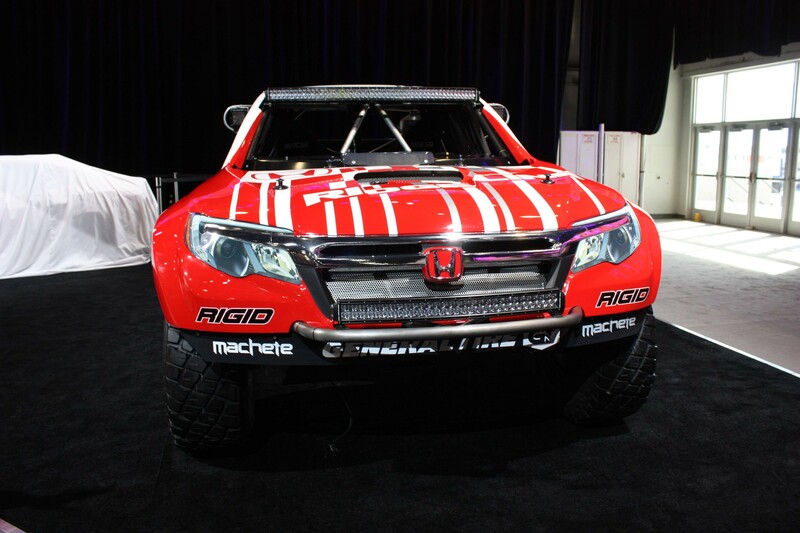 Enjoy the gallery and stay tuned for more information from 2015 SEMA! 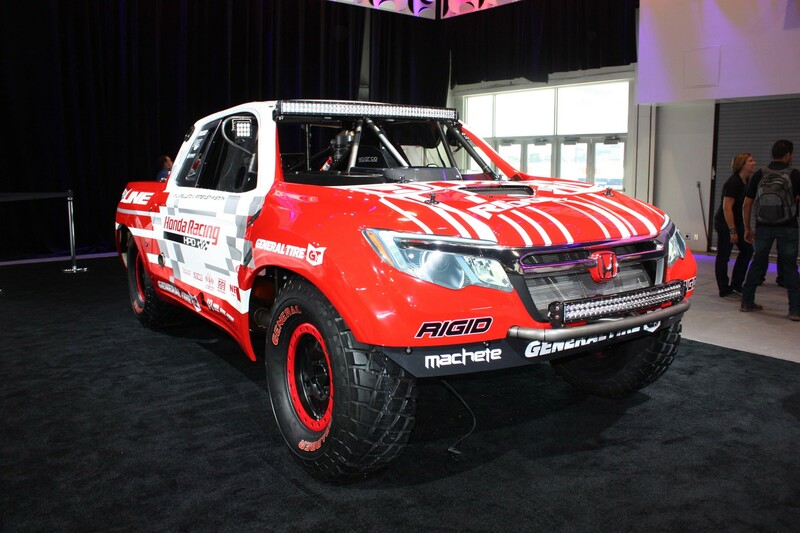 Anyway, the Honda Baja XLR250R is something totally different, but check it!